Please note before reading that Global Affairs Canada has recently changed its rules for authenticating these style of documents and we recommend reading more about them here as it is more up to date. Congratulations now that you have graduated with your TESOL/TESL Certification you are ready to take the next big step of choosing a country in which to teach. As you may have already been told you will need to have your documents authenticated and legalized before going. As Canada’s leading provider of TESOL/TESL certifications Oxford Seminars prepares its graduates by including this requirement in their FAQ’s. As they have noted at the bottom of the page any questions about the process or fees in Canada can be answered by contacting us for assistance. To help clarify for anyone who is going to teach ESL abroad we will outline the general process of authentication and legalization. The first step of authentication takes place at Global Affairs Canada located near our office in Ottawa. Their function is to verify the signature on your document, if satisfied they affix their seal and signature then the document is authenticated. Although Foreign Affairs has requirements as to what signatures they will authenticate our consultation with you will guarantee that it will pass authentication. Our assistance will save you 15-25 business days which are the normal processing time if dealing with them directly. After your document has been authenticated it is ready for the second step of legalization where it will be presented at the embassy of the country in which you will be teaching. In some countries you may also see this step called Legalisation, Apostille or Attestation. Depending on the country will determine what the requirements are and the fees to process the document. Although you may see on some embassy websites they do try to provide some information but it is often outdated or missing key points. As the legalization requirements must be followed, or your document will be delayed or not legalized, it’s important that you are up to speed on these rules to ensure peace of mind. Using our services will provide you the support and confidence that your document will be legalized quickly and without the issues that most have when doing it themselves. 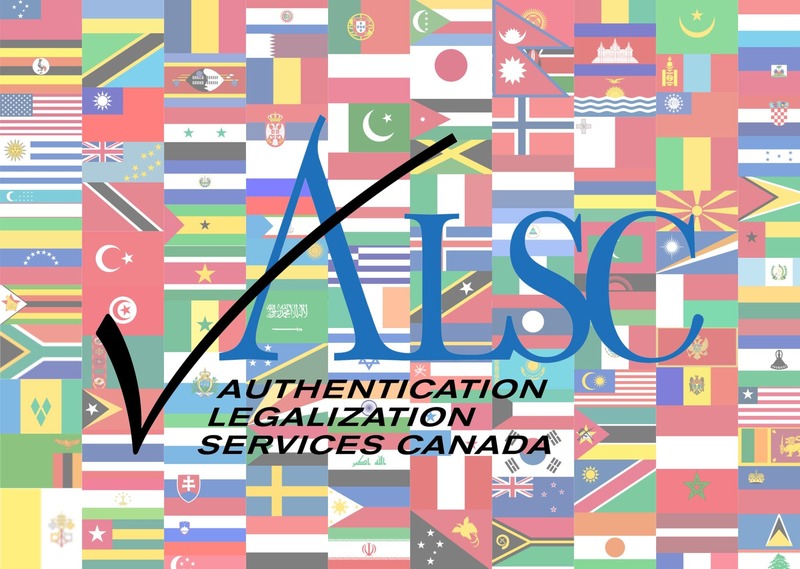 As Canada’s first provider of authentication and legalization services it has been our pleasure to assist graduates going to teach ESL abroad and we look forward to the opportunity of assisting you. If you need to Apostille, Authenticate or Legalize your TESOL, TESL Certificate we can help or read more about it in our updated article as some rules of changed since this article was written.